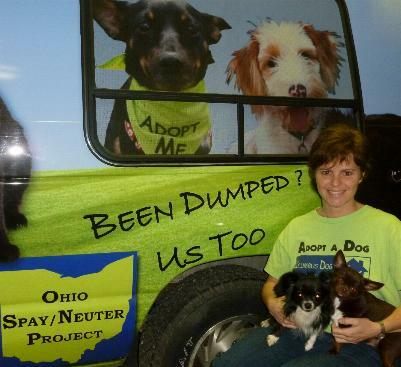 Kellie DiFrischia of the Columbus Dog Connection is a valued partner in supporting stronger puppy mill laws in Ohio. Through combined efforts, Ohio passed a law in 2013 requiring licensing and inspections for puppy mills. Kellie is a long-time advocate who has direct contact with people inside and outside the puppy mill industry. Thanks to advocates like Kellie, a puppy mill law was finally passed in one of the largest puppy mill states in the country, and large-scale breeders in Ohio will now be required to be regularly inspected for basic standards of humane care. Dr Logan was nominated for the ASPCA award by Kellie DiFrischia. "Dr Logan has been very supportive of our rescue efforts" says DiFrischia. "She choose Columbus Dog Connection as her philanthropic interest group. We would not be able to save as many dogs as we do without the cooperation of Dr Logan and the entire staff at Norton Road. They are an important part of the Columbus Dog Connection team. 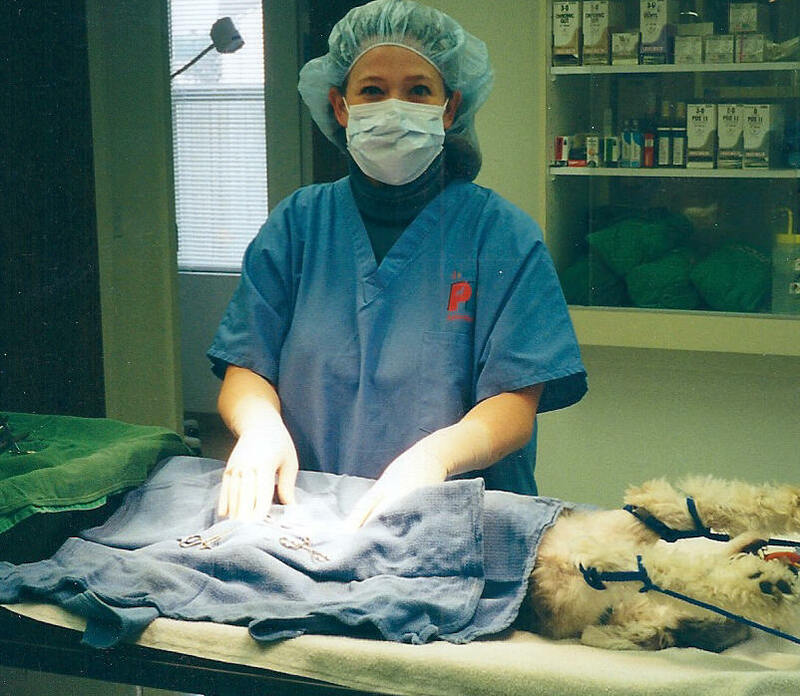 Dr Logan is one of a handful of Vets in Columbus who practice early spay/neuter. That is critical for a rescue group like us because we can say with complete confidence that no dog or puppy leaves our care able to contribute to the overpopulation problem. We would like to see all animal shelters and rescue groups practicing early spay/neuters". 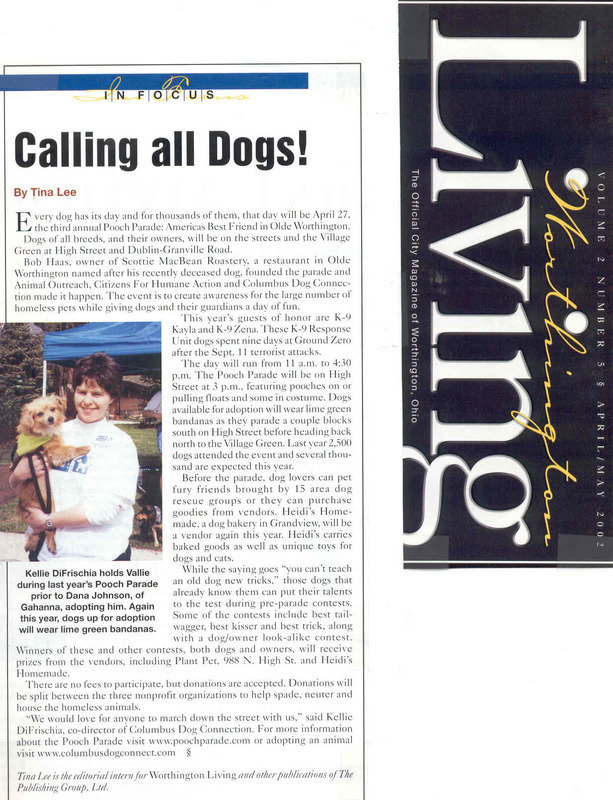 Dr Logan was also recently listed as one of the top five vets in the Columbus area. This survey was taken by WBNS TV who surveyed hundreds of Central Ohio Vets to see who they'd take their pets to in an emergency. On behalf of Co-chairs Frances Strickland & Jim Tressel, congratulations on being selected for a Make A Difference Day Ohio Outstanding Project award. 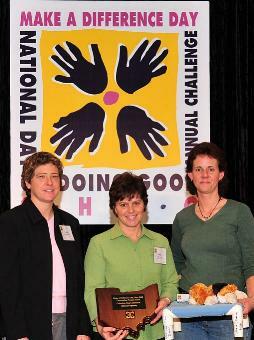 Your project was one of ten selected from over 1,000 reported across the state of Ohio. You and your volunteers have a right to be proud!